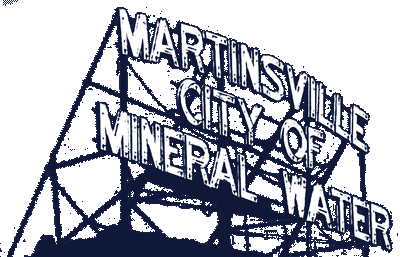 Moving the Parks Department under the City’s umbrella and dissolving the Parks Board has resulted in greater cost savings and operational efficiencies for Martinsville’s parks system. According to Department of Parks and City Properties Director Brad Bales, the City’s takeover of the Department allowed employees to keep their jobs and the pool to open this summer. “As a department, we were almost out of money and not going to make it through the year when the administration took control. Park employees became City employees and as a City department, we then were able to use other City equipment for our needs,” Bales explained. Bales obtained a blueprint of the parks to identify shut off valve locations. Serious issues were discovered, including the pool never having been properly winterized. “Pipes had frozen under the concrete over the years, pumps didn’t work and sand filtration had not been addressed. Rather than a band-aid approach, the solutions we implemented are long-term fixes. For less than a $6,000 investment per year, we now have infrastructure assets like the pipes and pumps set to last 15 years,” Bales said. In order to continue their progress, the Parks staff turned the office into a heated shop for projects that can be done effectively during the winter months. According to Bales, resources and equipment issues have been the most challenging. “When we took the reins of the Department, there might have been five tools on the shelf, but only one worked. So we made good with what we had. Realistically, our parks are ten years behind with technology, aesthetics and amenities. But with everything you do, you have to look forward. The sky is the limit in terms of what we can get out of the Parks for our residents and visitors’ enjoyment,” Bales said. The new pump for the splash pad and pool and filters will pay for themselves in five years. The baby pool is the only park resource that will need work in 2017. According to Mayor Shannon Kohl, the improved efficiencies and reduced expenses came into play when Bales took over the Parks. Parks employees now are responsible for mowing the 5.2 miles of medians along State Road 37. Plans are underway to utilize the pool house year-round, making it more of a lodge environment. Staff is working on suggestions made on comment cards provided to park guests. The cards will be available on the City’s Web site in the near future, with residents encouraged to complete them and share their thoughts on ways the parks can continue to be improved. Plans call for the splash pad to be free next year, with food and drinks available for sale at the pool. Wrapping up 2016, Bales and the Parks team are finishing work on the valves located on the parks’ blueprints and winterizing the office. “Previously, long-term plans and a focus on kids’ safety didn’t exist, but we are determined to turn everything negative into a positive. Down the road, we want to open up parts of the City park that have never been fully utilized, so we have a great deal of work ahead of us and are looking forward to the results,” Bales said. For questions or interview requests, contact Bales at 765-342- 3155.